As the last post featured a sunflower facing west, this sunflower actually was facing west as well. In 1981 I was young and skinny and wondering what to do and nursing a recent heartbreak, a year out of four years of college, wanting to be a photographer. I was working hard at that, trying to hold onto something. Funny to try to hold onto Photography as the one solid thing in my life — like grasping moonbeams and falling snowflakes. Funny now, but So Serious then. I lived in a shoddy apartment, but with good hearted people. My life was quite full of open hearted friends, and we had an amazing garden. I worked enough to buy food, sheet film and paper and spent the rest of the time with the camera or in the darkroom. I washed a lot of silver down the drain, and crystalized a lot of it onto film and paper too. I scanned this film today, and also found silver prints of this image in archival boxes. I will print it a bit better now than I was able to in the old days. 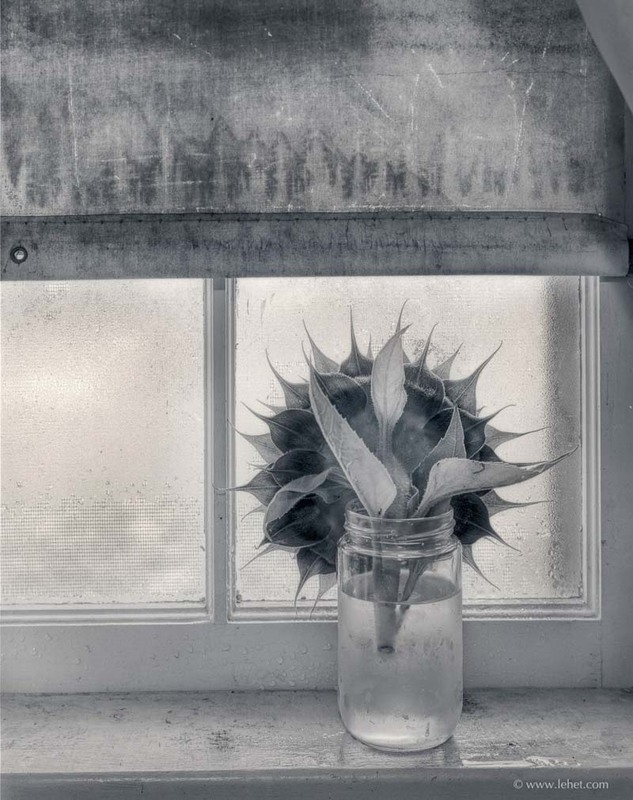 This entry was posted in Autumn, black and white, New England, Still Life on February 8, 2011 by john lehet.